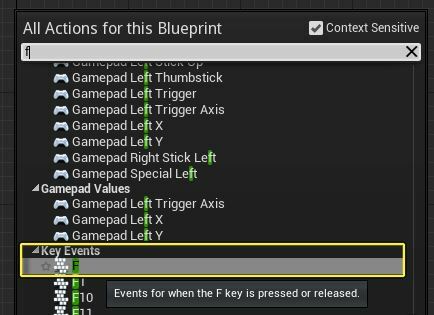 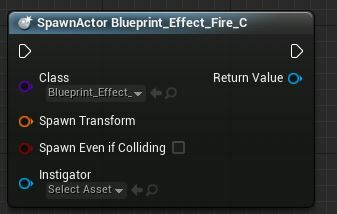 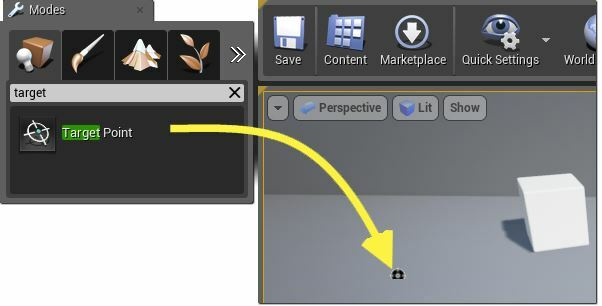 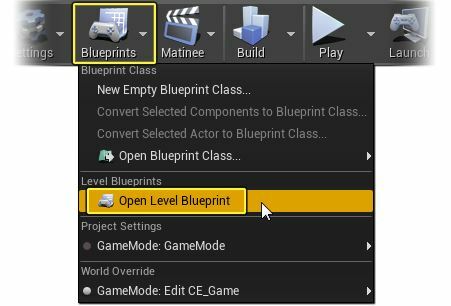 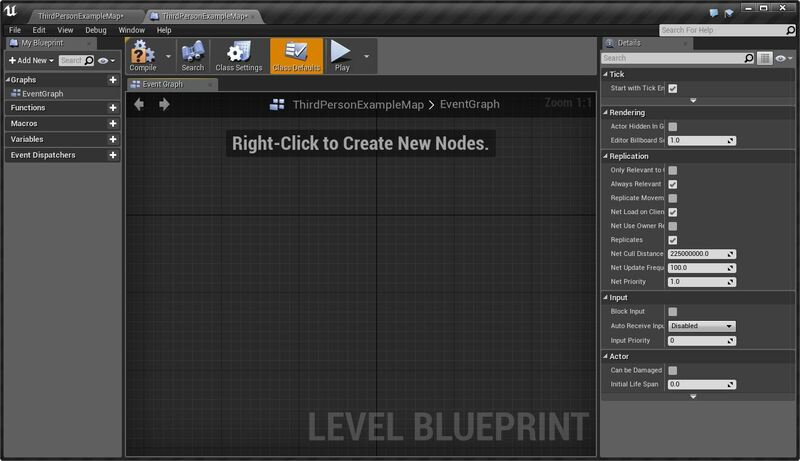 打开任意项目，进入编辑器后，单击 Blueprints 按钮并 Open Level Blueprint. 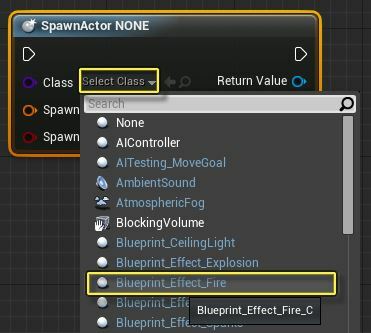 Right-click 图表上的任意位置，然后在弹出菜单中搜索并添加 Spawn Actor from Class 节点. 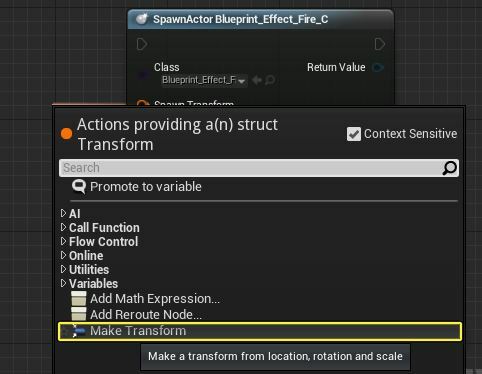 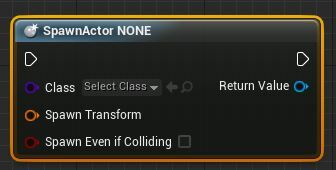 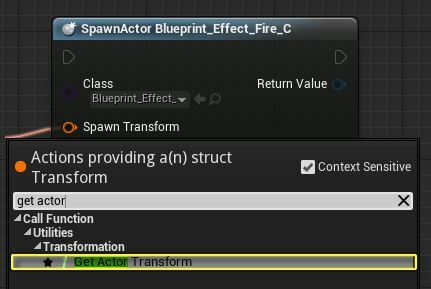 The Spawn Actor from Class 节点将被添加到图表 (简称**SpawnActor** ).